Deepak‘s view of the role successful “tycoons” should play in Hong Kong’s startup ecosystem. Being in the position that I am, having founded Paperclip and being born in Hong Kong, I have often wondered ‘where are the tycoons?’ with respect to supporting early entrepreneurs and startups in Hong Kong. I had the idea of Paperclip, a Startup Campus, to help solve some of the huge problems I faced in my early-entrepreneur career. The word tycoon is commonly used to refer to the uber-rich Hong Kong entrepreneurs who had massive successes, and who are worth billions today. Arguably, the most famous one is Li-Ka-shing, commonly referred to in the Chinese media as ‘Superman’. Wouldn’t it be great if Startups had a Superman to support this sector? Culturally, Hong Kong is conservative. It is a well known fact that parents prefer that their children join established companies, getting jobs with security and reputation. I have directly faced this several times while hiring for Paperclip. Also, it is a well known fact that HK investors are conservative with their investments too, with decades of experience in investing in the low risk, property sector. This is a huge problem for startups looking for investment and it has other follow-on effects, as it effects the quality of the mentoring too; experience in investing in properties cannot help Startups. On a related point here is the involvement of the banking and investment banking industries in Hong Kong. The best advice will come from those who have had experience investing in early stage companies or building or launching products. So, why does Jack Ma, and his partner, Joe Tsai, matter to Hong Kong? It is because entrepreneurs can help startups. Jack and Joe, founders who built the technology beast that is Alibaba today, understand this and are putting their time and money in supporting this sector. I remember seeing Jack Ma at events in late 1990′s – early 2000, during the first dot-com bubble in Hong Kong. He was hustling, as I was, and like everyone else was. There are investors who rejected the opportunity to invest in his idea. Building his company took resilience, foresight and great effort; a common theme with respect to entrepreneurship. Now, Alibaba has launched their Entrepreneur Fund, HKD 1 Billion for Hong Kong’s young entrepreneurs. An article in the SCMP says it all, but this stands out “In a talk before some 6,900 in the city last night, Ma advised the crowd of mostly young people of university and high school age to learn from their failures and hardships…” Sound familiar? The rejection of failure. I highly recommend watching this recent interview Jack Ma did at the World Economic Forum this year in Davos, Switzerland, with Charlie Rose; besides talking about his journey, you get a deep sense of his focus on values and the responsibility he acknowledges, especially to the young people – he makes a direct quote to this! Hong Kong was built on the success of entrepreneurs who were pioneers and hustlers. All the signs are pointing now that we are too conservative. Our youth are disenfranchised and we are still surrounded by low quality startup support. As a call to action to the tycoons, startups need you. It doesn’t take a genius to figure out what to do. Jack just gave you a clue. #HustleHK. 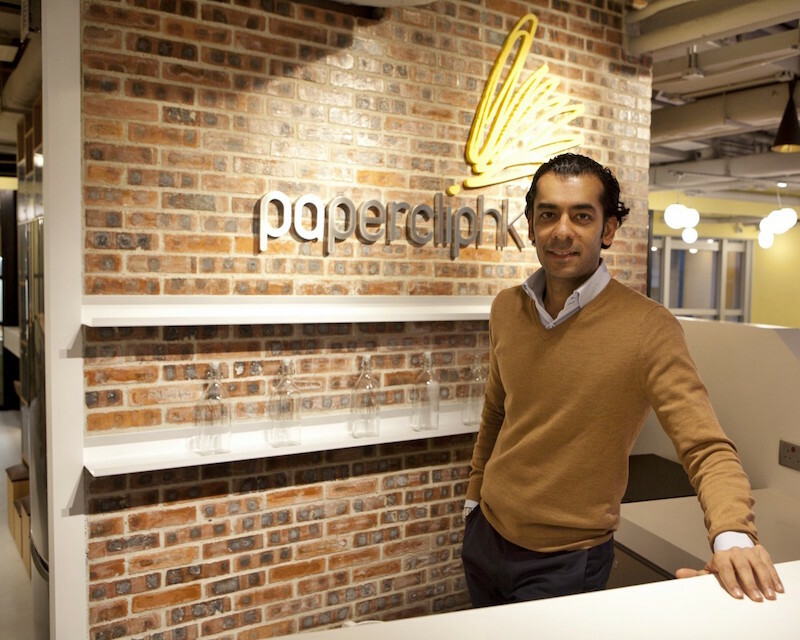 This article was written by Deepak Madnani of PaperclipHK.